Amy Brown (nee Bray), but I typically go by Zen Mama here. I do. You can follow me by clicking here. Why aren't you on Facebook anymore? And where can I find you? See my blog here to read that drama and the corresponding exit. You can find me on Twitter and Pinterest (above), Google+ (click here), and by subscribing to both this blog (see the right-hand column) and the Zen Parenting Daily Digest (click here). Don't you think there are bigger things in the world to worry about than ________? As a matter of fact, no. Read here to see my thoughts on that very question. Can I guest blog for you? Maybe. 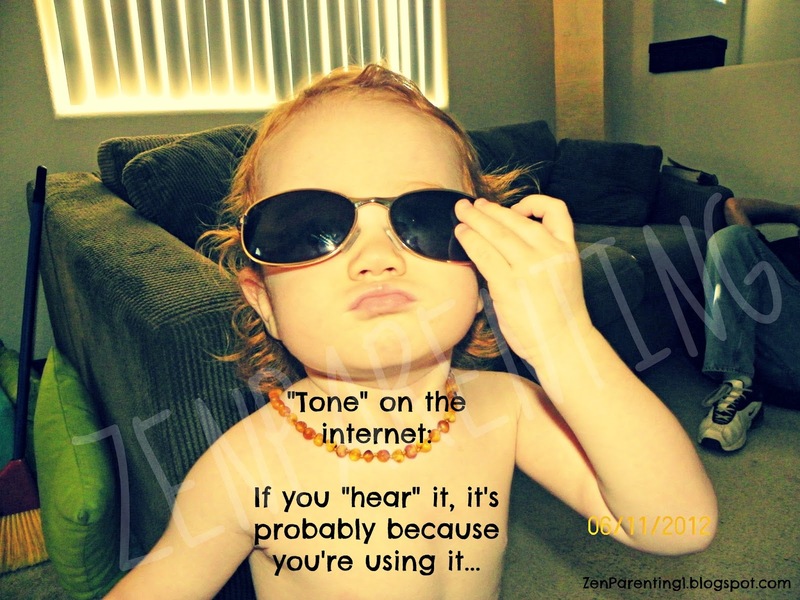 Submit your post via email (ZenParenting1@yahoo.com) and I'll be happy to take a look at it. If it fills a need, I'll publish for sure. 1) I'm inundated with books I have yet to review. 2) I recently had the most awkward situation in which I was asked to review a book, read it, did not like it at all, and had to give the author the option of me not reviewing it or reviewing it honestly. I don't ever want to experience that awkwardness again. You don't seem Zen as I understand it! Should I tell you to change your name? I wouldn't waste your time, if I were you. Instead, click here to read my take on that very sentiment. Someone is saying mean stuff about you on the internet! Should I tell you about it? Nah. Thanks for trying to look out for me, but what other people think about me is none of my business. I think you’re horrible! Should I tell you about it? I'm not for everyone, that's for sure, but again, what other people think of me is none of my business. You can go ahead and keep that to yourself. I don't like your blog (or Twitter, or blah, blah, blah)! Should I tell you about it? I wish you the best on your journey. No one is forced to be here. Honestly, the numbers don't matter all that much to me, so losing one person isn't enough to send me into hysterics. It's probably best just to quietly click to dismiss yourself and be on your way. My opinions are in opposition to your facts! Should I tell you about it? You were wrong about something and I would like to correct you in a courteous and constructive manner. Should I do that? Please do. I don't know everything and truly do enjoy learning. People don’t really ask you these questions, do they? Totally. Well, they either ask directly (often) or things are said to the same effect frequently enough that they needed to be addressed in one easy-to-find place. Every once in a while, I just can't help myself!